Marc Cuban declared that data is the new oil. But, all-too-often huge amounts of data cannot answer the questions that actually matter to businesses. They merely deliver billions of isolated facts and zero intelligence. A company called DataChemist is attempting to solve that problem by imposing and enforcing real-world rules onto data and by doing so give their customers more insight than ever before. DataChemist is also aiming to make the complicated simple by transforming messy, inconsistent data sets into clean, structured and integrated data. DataChemist emerged from an EU funded Trinity College Dublin project that built the technical infrastructure for Seshat: the Global History Databank. They are helping Seshat with the unambitious goal of systematically collecting what is currently known about the social and political organization of human societies and how civilizations have evolved over time. The project has been enormously successful and has provided the platform for a range of statistical studies of historical datasets. On the back of this research and a further commercial implementation with a big Dutch-German multinational, they recently published a book called Engineering Agile Big-Data Systems. Knowledge Graphs are becoming a big deal in tech. They are on the Gartner Hype Cycle for the first time last year. 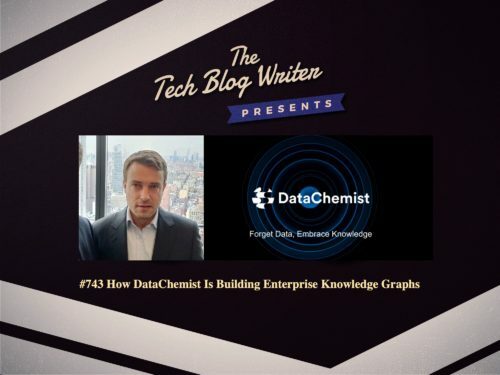 I invited Kevin Feeney, CEO at Data Chemist onto my daily tech podcast to learn more about their work on Knowledge Graphs and our their global history.